Today was operation impeach Laurie Gennari. This began with Luis Li splitting hairs between her post event police interview and her current trial testimony. She was less critical of the vision quest in her police interview, saying she enjoyed the experience and, one could infer from comments, did not get dizzy. By the end she said she could have gone on, even without food. She had distracted herself whenever she started to feel hungry by journaling. Last Friday she claimed to have been hungry, dizzy, and headachey. She'd said, "My body was just not happy with no food." Slight disconnect but really more in attitude and emphasis than fact. In both cases, she said she was hungry. In the police interview she emphasized her ability to distract herself from it. I don't recall. This has been quite the journey of, of figuring out a lot of things in my head the last year and a half. 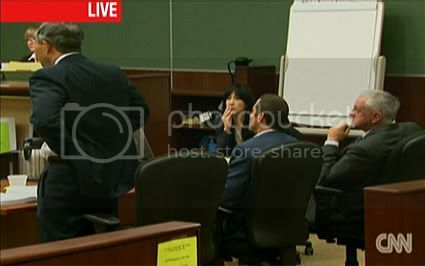 Li played a segment of the recorded police interview. Not as big a segment as Sheila Polk would have liked but Judge Darrow said she could put it in context on redirect. I would go to events and I'd think, okay, great information, great information. Oh come on, dude. Get over yourself... It's like having a big dog that comes and slobbers on you and going, yeah, yeah, we put up with that because he's a nice, big dog. Li attempted to bring these two characterizations of Ray into sharp relief. Li: You said that you would put up with this because he is a nice, big dog, correct? Gennari: At the time, that's what I thought. Li: You did not say that you would put up with a big abusive, tyrannical bully dog, did you? And there we have it. As I've said more than once, no one thinks they're brainwashed when they're brainwashed. The degree to which we've been manipulated is something that we begin to understand in retrospect. That process is often extremely painful, especially if we've been leveraged through our more vulnerable emotions. It's a violation and violation can be humiliating. So, as Lauri Gennari testifies about her activities at Spiritual Warrior, much of her recollection is caveated with a nod towards her retrospective viewpoint. She uses a lot of statements like, "That was my mindset. Follow the program." In most cases the inconsistencies were a difference between describing the event immediately afterward in less sharply critical language and her current disdainful approach. Although the basic description of the events and her reactions to them are extremely similar. Basically it sounds like before and after the rose colored glasses came off. And Li's questions mostly come off like so much parsing. That said, this was probably the most effective I've seen Luis Li. His questions were purposeful and he seemed very confident in that line of questioning. The defense clearly did its homework over the weekend, They've been poring through Gennari's police interviews looking for any shade of difference. Li's questions pertaining to "force" became quite pointed. Gennari struggled with the word but ultimately said it would not be the right way to characterize what occurred. So Lee asked her a series of questions about the various forms of physical force and threatening behavior that obviously hadn't happened. Gennari agreed that neither she nor anyone else were ever physically restrained from leaving the sweat lodge. "He didn't have to," said Gennari. As Li went along, his questioning became increasingly language specific, as if he were reading from prepared text. The careful listener could her the click, click, click of a trap being set. Li: Now, have you ever claimed that when you tried to leave the sweat lodge, Mr. Ray blocked your passage with threats of offensive touching? Li: Have you ever said, have you ever claimed that you witnessed Mr. Ray or, do so to other participants? Li: Have you ever claimed that when you wanted to leave the sweat lodge, Mr. Ray physically touched you in an offensive way, thereby causing you injuries and extreme emotional distress? Li: Have you ever claimed that Mr. Ray somehow deprived you of rational thought. Gennari: I didn't know that 'til much later. Li: Okay, but have you ever claimed that? Li: Have you ever claimed that Mr. somehow deprived you of rational thought? Gennari: In what context would I be making this claim? Li: Let me move on. I'll ask you another question. Have you ever claimed that you were forced into the sweat lodge? Li: Because in fact you had not been forced into the sweat lodge. Li: And if somebody said that you had been forced into the sweat lodge would be untrue? Then came a balance throwing non sequitur about her employer possibly going out of business. Yes, the defense definitely spent the weekend lining up its ducks. More importantly, they stuck in their thumbs and pulled out a law suit. So the source of that specific language became clear. Gennari has a pending lawsuit against JRI. The defense's contention? The soon to be out of work Gennari has a vested interest in the outcome of the criminal case to bolster her civil suit and make a little ka-ching. And then things began to derail. Worse, it would seem that once again the defense has attempted to skirt disclosure rules by introducing text from that legal filing without ever having turned it over to the prosecution. And, once again, their argument is that the state should have found it on their own. In one particular bit of deliciousness, Li claimed that he was not reading from the legal document but from his own outline. But, as Polk pointed out with just the vaguest hint of indignation, those notes were copied from a complaint that was never disclosed or put into evidence in a flagrant attempt to skirt discovery rules. Once again, I am somewhat awed at the audacity of defense's argument. Also, by not turning the lawsuit document over to the prosecution and having it admitted as evidence, they are reading it selectively and not allowing the prosecution to read other portions of that claim that might not reflect well on Mr. Ray. It becomes clear that Li doesn't want it in evidence, just to impeach with inconsistent statements and show bias. But the statements aren't really hers; they come from her attorney. Ultimately Judge Darrow ruled that it needed to be disclosed and that the prosecution may redirect on portions of it, even though it had not been moved into evidence. When the trial resumed with Li's cross, he had changed focus from the lawsuit to the liability waivers. Li points out that the waiver actually says that there is no requirement to participate in the activities; something she and many others apparently missed. It's one sentence, buried in a paragraph, which might have something to do with that. Doncha love legalese? I fully understand and acknowledge that there is no requirement whatsoever that I participate in the Activities. Gennari quips, "I'm supposed to be precognitive?" Quip or no, she makes a point. There certainly was aggressive persuasion. Just ask the woman who was berated for missing yoga. ...and I assume full responsibility for and risk of any injury sustained in connection with the Activities, whether caused by the negligence of Releasees or otherwise. He then abruptly turned to questions about Liz Neuman. He continued to question Gennari about the difference in tone, if not fact, between her testimony immediately after the event and now. Did the cooling dirt she dug into with her fingers delight her or did it make a miserable environment bearable. Did Liz Neuman sound like she was drunk? Or did she just say, "No, no, no," without slurring so much like in the recording? The one factual omission that came out on cross, was that Gennari didn't realize she had blacked out until someone pointed out that she was missing time in her recollection of the events at the end of the sweat lodge. She had, therefore, not told police at the time about it. Li tried to make tremendous hay of this by playing recordings of her describing the period of time after she had come to and was in the process of being taken out. He quotes her as having said she was fine. None of this, however, conflicts with her previous testimony of having blacked out, but afterward wanting to get out by herself and rejecting the help of the woman who wanted to drag her out. She, no doubt, said a lot of things to get the woman's hands off of her. His entire examination is about that honest. Li: Is it fair to say that before this lawsuit that you filed in September 2010 you had never mentioned to the police or to anybody else that you had blacked out. Gennari: Everything was foggy for a very long time. Gennari had for some time after told people she was fine; friends, the police, everyone. I guess to people who've never been through trauma, that sounds damning. I've been through trauma. I've also been through codependency and denial. So I well know how much easier it is to tell everyone you're fine, rather than peel the lid off of the ugliness. None of us do it... until we have to. Sheila Polk started her redirect by delving into the police interview. In the process, Gennari disclosed that shortly after returning from her sweat adventure, she had gone into Urgent Care with breathing problems. Gennari hadn't felt right after the sweat lodge, at one point experiencing dizziness, and feeling like she couldn't move her arms and legs. She had been placed on the floor. She was attended to by the Angel Valley staff who supplied her with electrolyte and other mystery beverages and insisted she keep drinking them, which helped. She had refused the suggestion to go to the hospital. At the time I had come up with plausible explanations for how I felt and, didn't, and, also, really, really didn't want to end my vacation in the hospital. Once home she drank Pedialyte and convalesced. But by Sunday night, she was still feeling off and became concerned that she hadn't recovered in a reasonable period of time. She took herself to Urgent Care. She underwent tests. She had an EKG and intravenous fluids, "which was heaven." They sent her to the emergency room. There she had a more thorough EKG and blood tests -- well, the results were suppressed -- but after that, came a series of weekly doctor visits. So, I'm guessing there was something concerning in those tests. The doctor wanted to put her on disability. She was unable to work for 3 weeks and returned at half time for 2 weeks. She was having trouble breathing and was frequently out of breath. Polk redirected Gennari on the blackout question and asked her to read through the transcript and find the part that was missing from the tape played. At which point, Li blatantly lied about what how much of the interview had been played. Seriously. I can't believe that he was just misremembering what he did and did not play of the interview. Kind of mind-blowing, actually. But through clever restatements of the question, Polk managed to have her recall the period when her eyes were closed. Polk: Miss Gennari when you told the detective that, "well, I finally, I opened my eyes and I saw there was no one to my right." Polk: What do you remember about when your eyes were closed? Gennari: Nothing. From the time that there was front row, back row, then there's a big blank spot in memory from then till I opened my eyes. Polk: And when you were interviewed by the detective, did the detective ask you follow up questions about the time your eyes were closed. Polk continued to walk Gennari through the events from the time of her blackout and after. Polk has a real gift for putting those things back into context that the defense has taken out of it. Polk also sought clarity on Gennari's statements about no longer believing that there was any value in Ray's teachings. She produces a James Ray quote that is truly revelatory... about Ray's character I mean. Learning occurs on the border of chaos and order. This was his explanation of why he would deliberately overwhelm people with information. Said Gennari of those lessons, "I'd realize the gears in my head had sort of stopped." It pertained to a NASA study wherein people wore goggles that flipped images upside down. It would take them a while to see properly without them. Gennari described that as meaning that the goggles are Ray's teachings and that they needed to stay immersed in them and to not go back to their old way of thinking and seeing. Many people have asked if Ray was deliberately using cult brainwashing techniques. Asked and answered. On cross, Polk addressed the lawsuit. It was prepared by the lawyer. Gennari had not read much of it nor had she signed it. So Li was trying to impeach her testimony based on a document that didn't even bear her signature. Polk proceeded to read from the claim and formulate questions pertaining to it. Has Mr. Ray's refund policy affected your attendance? I've been waiting and waiting for the prosecution to get that in, and it looks like it had to be shoehorned between a lot of objections. But the claim Li introduced stated there were no refunds. As discussed, whatever waiver they've signed or second thoughts they've had, to "choose" not to participate is to forfeit thousands of dollars. Gennari affirmed that her inability to get her money back was a key motivator in sticking things out. Li started to make noise about admitting the entire complaint into evidence. Said Polk, "Your honor, the prosecution does not believe this should be admitted but it is Mr. Li who opened this line of questioning in his cross examination." It turns out that "offensive touching" is a legal term in California. Much of the complaint appears to have been structured to start the process by hitting certain legal wickets. Polk continued to walk Gennari through the document, clarifying what was true and where the lawyer had misstated the facts as she believed them to be. At that point, Li began demanding that it be admitted into evidence. 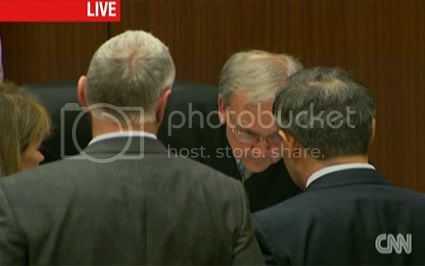 Judge Darrow agreed and admitted the document into evidence with a stipulation. Said Polk, "That's fine your honor. Thank you." I'm beginning to think that Sheila Polk is diabolically clever. She has got the defense begging to admit evidence that they would have fought her tooth and nail on had the prosecution tried to admit it. Here we have a document that Li tried to sneak in piecemeal, unscrutinized as to its authorship and signature. 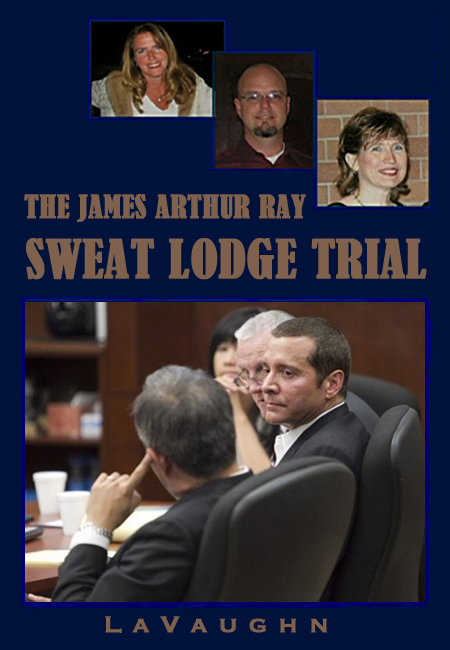 Now it's in evidence and it, indeed, reflects badly on James Ray because it contains some rather damning facts. Polk asked Gennari why she filed the lawsuit. I have a lot of medical bills piled up and I felt like, to some extent, it was my duty to make as big a noise as possible so that this never happens to anybody again. 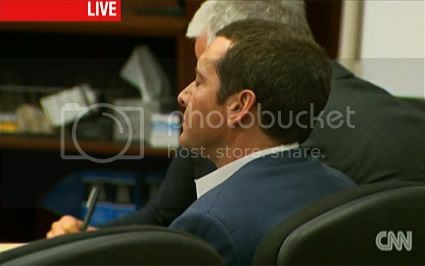 The jury had one question for Gennari. They wanted to know if she really went shopping in Sedona, so they may really be struggling with how authentic her description of distress is. She described herself as "dazed" and barely seeing anything and "just kind of looking at the shiny objects." Her friend Laura had initiated the trip because she wanted to "get away from Angel Valley." Li became characteristically nasty. "After the incident in which two people passed away, you went shopping, correct?" Hmmm.... And what did James Arthur Ray do? Oh, right. He flew home before police could question him. Laurie Gennari was excused subject to recall. Laurie G really seems to have grown a lot since the Spiritual Warrior tragedy. I'm glad to hear her speak in a way that indicates that she's 'breaking the spell'.